Minister Shane Ross said that he was “absolutely stunned” by the decision. SPORTS MINISTER SHANE Ross has said that he is “absolutely stunned” by the Olympic Council of Ireland (OCI)’s decision not to accept independent members onto its inquiry into the alleged unauthorised sale of tickets in Rio 2016. Ross met with the president of the OCI Pat Hickey late last night in Copacabana to address the mounting controversy over the alleged sale of Olympic Games tickets by an unauthorised seller. RTÉ News reports that Ross said following the meeting that the OCI had refused to answer any specific questions about the ticket issue at a meeting last night, citing legal advice. The OCI refused to add independent members onto its inquiry team, stating that it was not investigating itself, but the trail of tickets being sold. The controversy broke last week, when Irishman, Kevin James Mallon, was arrested for allegedly scalping Olympics tickets at exorbitant prices. Mallon is described as a director of British firm THG. He was arrested along with an interpreter at a Rio de Janeiro hotel as he allegedly sold tickets to around 20 buyers the day of the opening ceremony, police said in a statement. Police seized 781 tickets being sold at “extremely high prices”. Some of the tickets were believed to have been issued to the OCI. 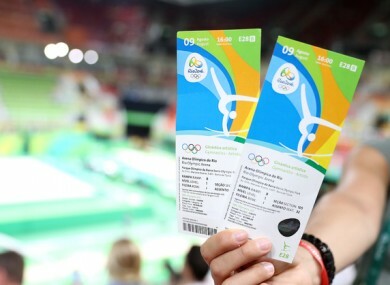 The OCI’s official ticket reseller (ATR) is Pro10 Sports Management, but it is believed it did not have a representative in Rio. In a statement Pro10 said Mallon, an employee of THG group, had tickets in his possession that were being held on Pro10′s behalf. The company maintains it has “acted properly and fully in line with ATR guidelines”. Three separate investigations – and a criminal investigation – are now underway. RTÉ reports that Ross has said that the OCI has its head in the sand on the issue. He described the meeting as “fairly tense, fairly direct and fairly frank”. Ross said he now planned to raise the matter with the Attorney General. Email “OCI refuses to answer questions from Minister Shane Ross over ticket controversy ”. Feedback on “OCI refuses to answer questions from Minister Shane Ross over ticket controversy ”.